Two years ago, I was diagnosed with Wet AMD. I was having cataracts removed at the time. I went to see a retina specialist and he said I had bleeding behind my right eye, but it was not within my eye sight so he would check me every 6 months. I began to see changes in the past few months. Actually thought that there was an ant on my glasses, when it was a floater. I have trouble reading the newspaper and am having to have more light at work. After having my vision checked for the possible necessity to change glasses and making 3 calls to the retina doctor's office, I was "allowed" to come in to see the doctor. I received an injection of Avastin and will receive Lucentis for the other eye next week. I really don't know what to expect. I know that everyone is different, but I would like to know what is ahead. I am 71. My sight is worse since the shot last week, but I understand it takes awhile for the eye to adjust to the medicine. I could actually see the fluid that was being injected. Weird. I have been getting injections for 2 years now. I have had 14 injections in my left eye. I was lasered in the right eye and lost central vision completely. I have had ups and downs with my injections but seem to need them once a month to keep from bleeding. My vision at the first injection was 20/100 after the shots it has been as good as 20/40 and is about 20/60 most of the time. I have no cental vision in the right eye since 2002. I keep with the injections to keep as much vision as I can in the left eye. I've recently been told that I have macular degeneration starting in my right eye. I'm 48 years old. I have had 6 detached retina surgeries on both eyes when I was little, and just recently had cataracts develop in both eyes. I had the cataract removed in my right eye, that's when it was discovered I had macular degeneration in that eye. In August, I'm getting my left eye done to remove the cataract, but that's not even my fear. I've been through alot with my eyes, detached retinas, then laser surgery, now cataracts, but nothing,nothing terrifies me more than macular degeneration. I am trying to find out how much time I have, how quickly it will progress. My Uncle has the wet kind in both eyes, he is legally blind. He tries to be upbeat, he gets needles every month, but he is still legally blind. He wanted to die in the beginning, but he has adapted. I'm trying to learn what I can from him now. I also was diagnosed at age 48 with macular degeneration the dry kind. I am now 52 And there has been very little change. I go every six months for exams, and just found out I have the start of cateracts in one eye; my good eye. However I still have 80 percent vision without glasses. The cataract is so small it was not worth mentioning. I am one of the lucky ones, I take lutein (vitamine) 20 milligrams every day and eat a lot of green veggies,that is what my doc told me to do to help fight MD. I am a fighter I will not let it get me down. Life is too short to worry over things that will happen in the future, and as long as I can still see I will enjoy life to its fullest knowing someday I will be blind. Is this drug approved in Canada? I'm in this study and it has helped. In only three months, there was improvement. It's not a cure, but has brought the fluid levels down more than the Lucentis alone. I wish you all the best. Hi, I just read your letter and I guess everyone fears the ravishes of Macular. I was diagnosed at age 59 and my one eye slowly deteriorated but I still had my good eye - until just recently. I am 68 now so it has taken almost 10 yrs. for my vision to finally become a major problem in my life. I have dry Macular Degeneration. There are no pat answers because everyone's Macular advances at a different rate. I'm at a point where it has just started to affect my driving ability during the day and that is a major problem since I still work and have a mortgage to pay. I know there is research being done everyday but, so far, no cure. The only hope I've found was in surfing the internet and came across a site that might show promise. Macular Degeneration Robo4. Unfortunately, it will not be available for human trials for another five years - which will be too late for me. I wish you well and I understand all your fears for I have them also. Let me know if you hear of any advances. I live outside of Philadelphia, PA (USA). 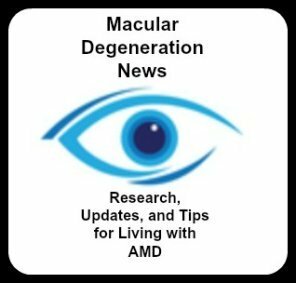 I discovered I had dry AMD about 8 years ago and recently had cataract surgery in October. By the end of December I was diagnosed with wet AMD in my right eye after a floater appeared in it. I felt devastated, fearful that I will get it in both eyes. I began Lucentis injections immediately and just had my third one. In four weeks I will have an OCT to determine if it has dried and if injections can be spaced out more than every four weeks. My vision is improved but not dramatically. I will be happy to maintain what I have. The fear and anxiety has been difficult to cope with but I am doing better. I was imagining I would go blind and how much my life would change. I began to feel that the fear was worse than the idea of my vision going and have settled more into acceptance of my disease. It really helped me to read others peoples' stories and know that I am not alone. I'm wondering if it is common to develop wet AMD after cataract surgery. Thanks everyone for sharing your experiences. I had the same experience as you, dry turned wet after cataract surgery. This happened 7 years ago, and have many many injections over the years. I have had both Lucentis and Avastin injections. Avastin worked far better in my case. My central vision is somewhat blurry. but during this time I have had periods of a year or more before it would start up again. I now have a cataract in the other eye and my vision is worse now than in the eye getting the injections so I find myself wondering what to do. Unfortunately opinions vary from specialist to specialist regarding the risks. So at best it is a gamble. I cannot drive anymore as my distance vision is shot. Good luck to all in this quandary. Hello, I was just diagnosed two weeks ago. 53 year old female with not family history. I live in Boston. I only went to the doctor because I had a sporatic spot/circle on my eye. He sent me to the retina specialist. I was diagnosed with wet AMD in my right and dry AMD in my left. This doctor seems to have a good following with her work and seems to be the expert. She put me on AREDS 2 and I have to come back in 3 months... Is this to figure out a baseline? Since my visit I have waviness, blurr, and that spot is still there. I have 20/20 vision. My question really is is when do I decide if my eye sight will need help BEFORE the 3 months is up? I am just confused. This probably would of been a good question at the time for the doctor, but frankly I didn't know exactly what was going on and not asking the questions so I didn't get answers. Was my Wet not 'bad enough' to start any of these treatments everyone is talking about? I am somewhat confused. If you have been diagnosed with "wet macular" degeneration, I would have expected some different type of treatment recommendation. AREDS 2 is NOT a treatment, but rather, may prevent the development of the wet form of AMRD in patients who are medium to high risk. I'm wondering if this is just a communication issue between you and your doctor. I'd recommend contacting your doc and confirming the diagnosis. I was diagnosed with wet macular degeneration in one eye 8 weeks post cataract surgery in Oct 2010. I have dry in the other eye. Had 4 Lucentis injections and my vision has improved slightly and is being maintained. Now I was told I need epiretinal peel surgery. I am scheduled for June. I would much appreciate hearing of other peoples experiences with this surgery. I'm not afraid of the surgery experience but am very nervous about the results. Looking forward to hearing from you. Thanks. Thank you for your reply. I read the article you referred me to and feel better as I was blaming myself for not researching before I agreed to the cataract surgery. Your website is wonderful! I have a rather complicated medical history. I have inherited Polycystic Kidney Disease, and in 1985 I developed Sjogren's Syndrome, an autoimmune disease. The combination of these two diseases resulted in a Liver/Kidney Transplant in 2002. I have been fortunate for 11 years - no complications related to the transplant. I have worn glasses, mostly for reading and driving for years and knew that I had developing cataracts. I had the right eye cataract removed in Nov. 2012, and the left the following month. Immediately following these operations I had what they called a "glare complication" and eventually had both eyes lasered, with no real results. In the process of trying to determine the cause of this glare, which radiates outward from a TV screen or car headlights, I saw a different surgeon from the one who did the cataract surgeries and the laser treatments. He had an optic nerve test performed, then told me, very kindly, that I have macular degeneration. I was later informed that this was not discovered during the optic nerve test, but rather just by the visual examination of my eyes while they were dilated. As an RN, I immediately knew the import of macular degeneration and left the office crying, almost uncontrollably. This physician had me scheduled to see a retinal specialist the next week (last week) and after more bright light exams and angiogram studies I learned that I have the dry type, but that it can turn into the wet kind. Bad news and worse news. The dry kind is slow to progress, and I was instructed to get the special vitamin supplement. The wet kind is faster, but there are injections that may stop the bleeds. I am retired, and in addition to the transplant and the immunosuppressive medications that are required, I am diabetic, thanks to drug therapy, and take insulin. And I also have severe gout, dating back to the pre-transplant days. I am not obese. I have never smoked, though I did have a husband who smoked continuously but we have not been married in over 20 years. I live alone, and my two adult sons help whenever possible. But the prospect of continuing to live alone as my vision goes, of not being able to drive, of not being to read or paint, of not being able to care for my multitude of animals is frustrating. Despite my many health problems and operations, divorce, and other occurrences that have had a huge impact on my life I have never felt "depressed" but this is getting me there. I don't want to feel helpless, it is not in my nature. I am searching the internet almost daily for any little bit of hope. And I have to believe that there is help out there, somewhere. Thanks for taking the time to share your story and your feelings. It may not be of any comfort to you, but your feelings of sadness and loss after your diagnosis of AMD is not uncommon. You will be surprised what the right kind of supplementation will do for AMD. I can say that the glare and night vision have significantly improved with a host of antioxidant supplements plus lutein, zeaxanthin, astaxathin, bilberry and zinc. I have had noticeable improvement in my macular drusen from the Life Extension formulation and my add-ons. You need to know that the dry form takes years and years to progress, and in some people, not at all. The wet version is more problematic and a concern. But it makes no sense to ruin today worrying about tomorrow! If that were the case I would have wasted the last 10 years of my life waiting for the worst. Be confident. There is help out there. I have wet macular degeneration and the central vision went in my right eye after I started having treatment. My left eye is 20/20 with Lucentis injections every 3 months. I worked with a woman that said upon hearing another woman say "That's not fair" that "Fair is something that comes to town in the fall." Thank you for sharing your story; you've been through so much with your health. I'm sorry you've had to deal with this. I just wanted to tell you that my Mother was diagnosed with dry AMD about 20 years ago; she's now 84 and while her AMD has progressed, it has been slow and she still sees pretty well. The main issue is reading small print, but she uses a lighted magnifying glass which takes care of it. She takes Zeaxanthin and Lutein and I believe these supplements have helped to slow down her progression. About 4 years ago she did develop wet AMD in her left eye, but after a few injections, the leaking has completely stopped. She still lives alone and enjoys reading and watching TV. I urge you to take Zeaxanthin and Lutein (Costco sells a good product), and maybe you should look into taking Saffron supplements which has shown to be beneficial to AMD patients. I'm 61 and I also take Zeaxanthin & Lutein as well as Saffron for prevention of AMD and so far, so good.